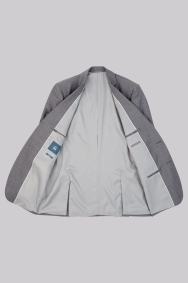 No matter how energetic your way of life, this is a suit that promises to keep up. 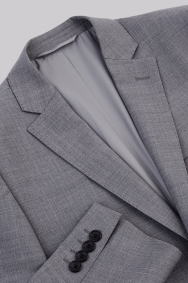 A blend of 88% wool and 5% Lycra, this light grey suit from our Moss 1851 Performance range is supple and resistant to creasing. Water and stain repellent, it's the ideal choice to stay looking your best from morning coffee to sundown cocktail. 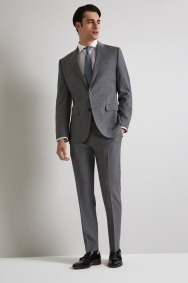 Pair the light grey with a white shirt and navy knit tie. My son is chuffed with his new suit having been looking for one for awhile. Very nice quality and fit. Had to get the sleeves adjusted at a local tailor for perfect fit, but totally worth it. Nice fabric, but color is a bit lighter than on the pictures (see pictures for Skinny and Regular Fit versions for a better representation of the actual color). 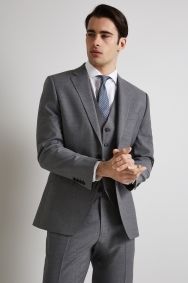 Fab material - grey suit and trousers ordered in store meadowhall branch. 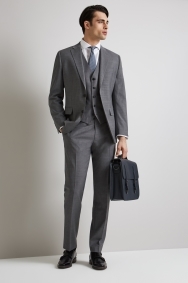 Love the suit, just what I was looking for. I liked it. Thought it's very good. Very comfortable, looks great on. I didn't like this suit and it looked very different from the way it looked on the Internet. Brilliant value for money, very good quality. Really good fit and comfy. Looks really good. 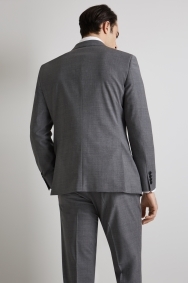 Nice suit, good value for money. The blazer was alright, it was chosen by the groom.